Akron, OH - As most Serbian Orthodox parishes on this continent, the St. Archangel Michael SOC in Akron, Ohio, celebrated St. Sava with Divine Liturgy, banquet, the Ritual of the Cutting of the Slavski Kolac and festive program. This year's Honored Kumovi were Mr.& Mrs. Relja and Biljana Kupusovic along with their sons, Bane and Milos. The Kupusovic Family donated and prepared the luncheon. Parish priest, Very Reverend Dragomir Tuba, presented the kumovi with an icon of the Mother of God - Hilandarska Trojerucica along with books of St. Sava and St. Czar Lazar. As is customary, our children sang, recited poems, and performed plays. 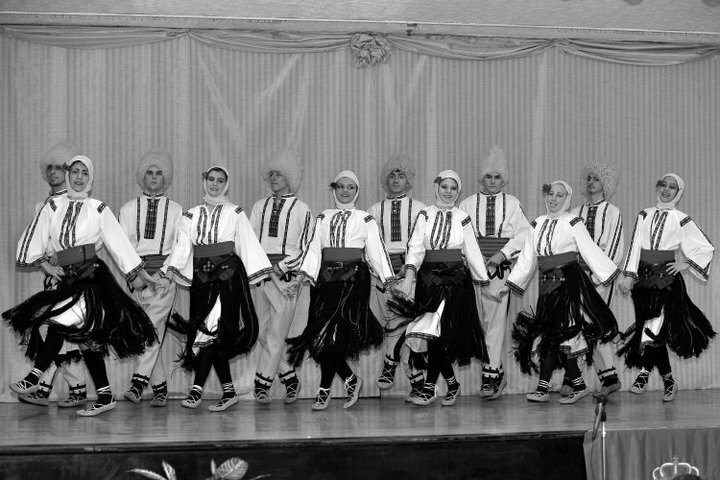 Gracanica Folklore performed under the direction of Mrs. Vinka Zoric. Teachers and our folklore instructor were also presented with an icon at the conclusion of the program. We thank all of our precious children, devoted teachers, instructors, and parents who helped make this year's St. Sava celebration truly memorable as well as everyone who assisted in the preparation and cleanup of the banquet. More photos of the event can be viewed at www.starchangelmichaelakron.org or on the parish Facebook Page - St. Archangel Michael Serbian Orthodox Church of Akron, Ohio.